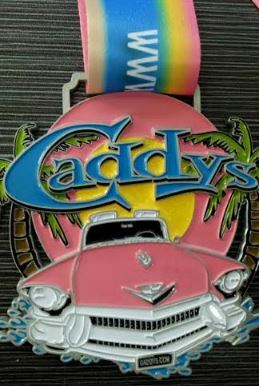 This non competitive event is open to runners and walkers who would like to complete 5K distance with us in the inaugural Cadillac 5K at Caddy's at the Pointe on the beautiful Riverwalk in Bradenton, Florida. The event is a fundraiser for Finish Lines for Scholarships 501 C3 and is limited to a total of 100 participants who will begin this 5K from Caddy's at the Pointe at 10:00 a.m. on Sunday, March 25, 2018. The course is fully paved and permitted through the City of Bradenton. Because we share the trail we are not allowing pets or strollers this time and as the event grows quarterly or monthly we will assess the safety of the number of participants and the option of allowing strollers. No award categories will be presented, however, all participants will be timed and times will be posted later on race day www.727canrace.com Of course every participant will receive the brand new highly desired 5" Cadillac 5K finishers medal as you see in pictures on this registration site. Because we are limited to 100 participants, the race will sell out quickly and no exceptions can be made for add ons or deferrals. There is no pre race day check in and check in opens on Sunday, March 25, 2018, beginning at 9:00 a.m. at Caddy's at the Pointe, 801 Riverside Drive East, Bradenton Florida. After You check in please remain at Caddy's until the National Anthem is played and you have heard all emcee instructions. Race management will lead you out to the race start finish line together. The course is an out and back remaining entirely on the Riverwalk paved trail along the intercoast. 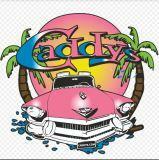 The post race party opens at 11:00 a.m. on the deck at Caddy's at the Pointe. We purposely do not give out top finisher or age group awards to maintain our non competitive audience and invite all runners and walkers who can complete this event in under 59 minutes to register. This event is open to all ages and abilities, however, only those over the age of 21 will receive their free Michelob Ultra. Every participant in this event must be registered and will receive an assigned Bib number in order to participate. There will be no race day registration. 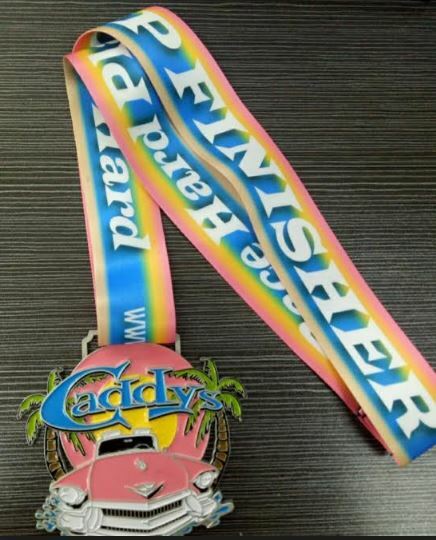 All participants will receive their finishers medal after you finish, as you return to Caddy's at the Pointe for the post race party. Please do not call the restaurant directly as they will not provide information regarding the race. You must call our race management company at 727-CAN-RACE (727-226-7223) for questions or concerns regarding this event. Congratulations on your participation in this inaugural event. We look forward to seeing you on March 25th!